Students, staff, and families all play a critical role in building and maintaining a safe and supportive learning environment. A strong connection between staff, students, families, and the school setting creates a positive climate as demonstrated by participation in school activities and governance, as well as the inclusion of the community at large into school activities. Students are much more likely to participate in school when they feel support by parents and school staff. Families have a strong influence on student outcomes and successes. Likewise, school staff –which can include all those that have contact with the student on a daily basis—can also have a direct influence by modeling appropriate social and emotional behavior. To engage parents, literature suggests that schools offer culturally appropriate and sensitive parenting involvement programs that focus on creating a stimulating home environment that motivates children to succeed. Youth need to feel connected to the school by working with staff and administrators in creating a positive school climate. The youth voice is very powerful in collaborating with school staff, administrators, school boards, and others in creating policies, procedures, rules, and norms that govern the school setting. Engaging youth in these decisions with offer them access to new knowledge, skills, and relationships that will not only empower them, but also offer them the opportunity to ready themselves for post-secondary work. 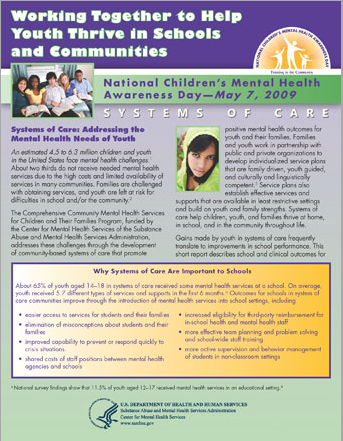 When schools and communities integrate, they are able to promote systemic change by providing resources and services that youth and families need to thrive academically and emotionally. Cross-system collaboration is a strategy employed by many school districts and can function as a catalyst for change among all child and youth-serving systems. When schools and communities work together, they find that they are able to avoid duplication of services and improve outcomes for youth and families. Agencies and organizations that effectively collaborate have an increase in communication, cooperation, and coordination which could break down individual, multiple systems and create a culture of belonging to "one system"; therefore, promoting a positive school and community climate, in which all share the responsibility. Usher, A., Kober, N., & Center on Education, P. (2012). 4. 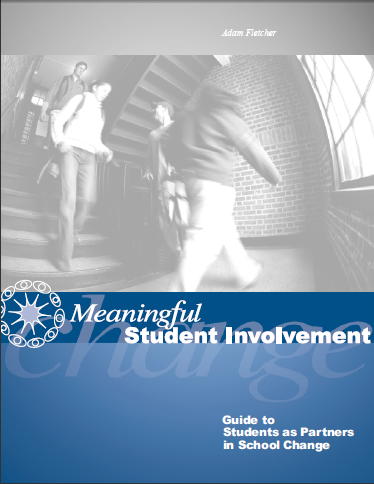 What Roles Do Parent Involvement, Family Background, and Culture Play in Student Motivation?. Center On Education Policy. Yonezawa, S., Jones, M., Joselowksy, F., & Academy for Educational, D. (2009). Youth Engagement in High Schools: Developing a Multidimensional, Critical Approach to Improving Engagement for All Students. Academy For Educational Development. Gonsoulin, S. S., Read, N. W., & National Evaluation and Technical Assistance Center for the Education of Children and Youth Who Are Neglected, D. (2011). Improving Educational Outcomes for Youth in the Juvenile Justice and Child Welfare Systems through Interagency Communication and Collaboration. Practice Guide. National Evaluation And Technical Assistance Center For The Education Of Children And Youth Who Are Neglected, Delinquent, Or At-Risk. Includes an overview of research on truancy, including extent of the problem, consequences, contributing factors, and programs that have improved school attendance; addresses legal and economic issues of truancy and addressing the problem; and provides a list of references and resources to aid in engaging parents and communities and finding alternatives to juvenile court, among other issues. In 2012, research showed that chronic truancy in students causes lower graduation rates and lower rates of enrolling in any type of college.